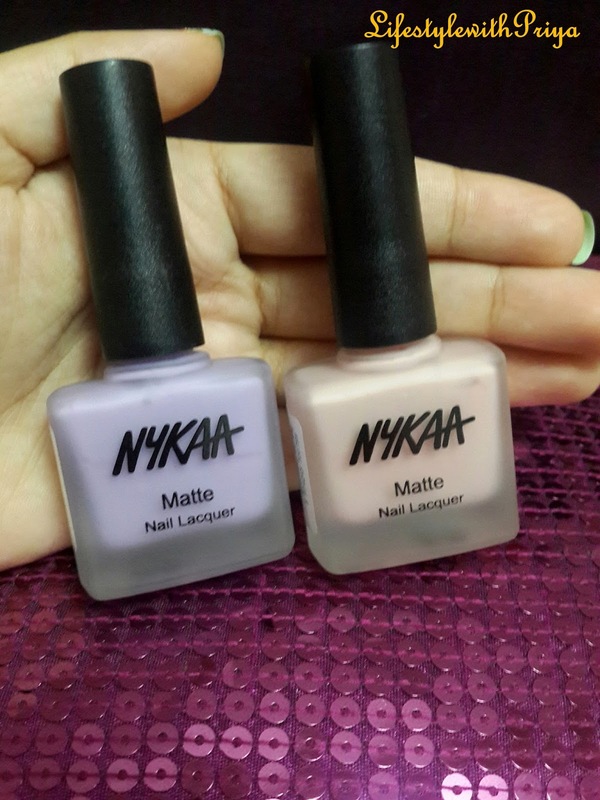 Its a new Trend in India.. i had never even seen any line launching matte nailpaints besides high-end Brands like INGLOT. But i had only seen the Top coat with them. 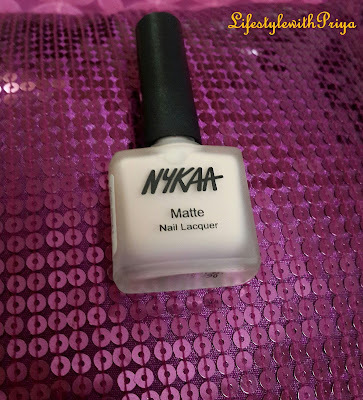 Nykaa has got these Nailpaints for the Fashion forward divas like us who like to give their nails a sophisticated touch with a Stunning MATTE Finish. It is to embrace the Chic or the daring side in you. 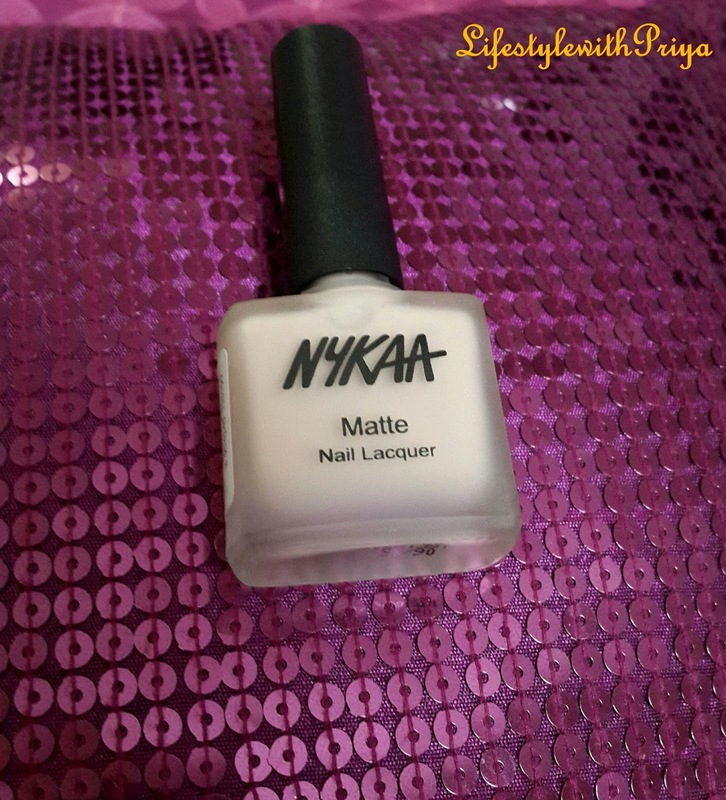 Firstly lets take a moment to appreciate the Beautiful packaging with this frosted bottle to give it a Matte look..which was so attractive and Thumbs up :) This looks glossy when you apply it and sets matte in a minute or so which was so exciting to learn..
Now lets get to the colors. They have a color for every mood and occassion. Matte Pastels like Lavender panna, Pink meringue, cool blue granita or the classy blacks n whites or the edgy colors like bottle green Matcha Tiramisu or the subtle S'mores milkshake and blueberry frosting. Every color is sooo unique and amazing. Let me take a deep breath before i describe this color. I mean this picture cannot do justice to the pretty pastel pink. I do not think this color of pink is easily spotted in Indian Markets easily..
"Immerse your vintage soul in the endless romance of the gorgeous pale pink hue." Let me show you nail swatch & you'll know.. I don't think the pictures can do justice to this color. 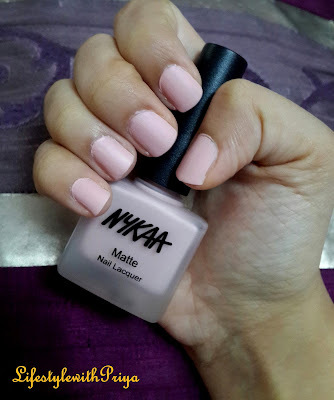 Its a must have for all those who love pastel pinks and its perfect for an everyday wear. 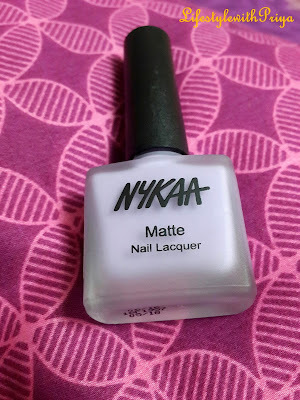 It retails for RS 199 for 9 ml which is a bit pricey than their previous nailpaints but its worth it as you never get Matte nailpaints easily with such beautiful shades. All the shades retail for the Same price. 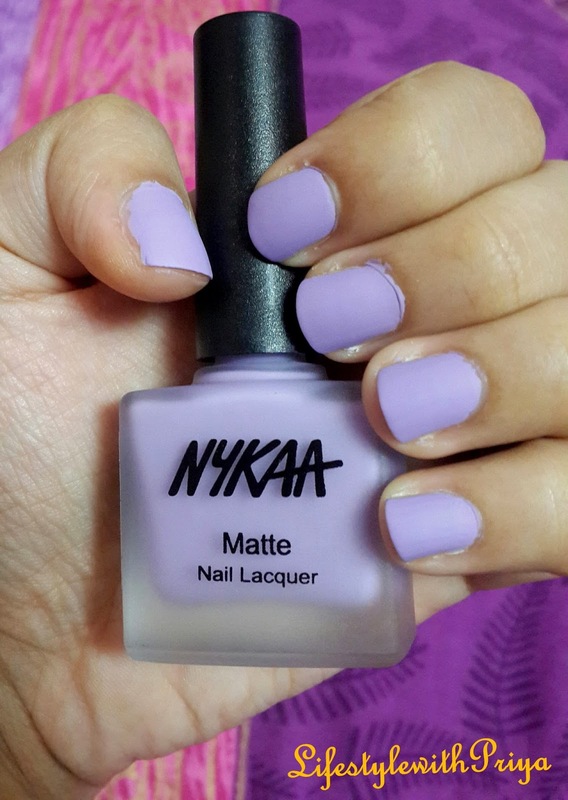 If you girls love lavender color just like me then its a must have.. I related lavender with something ever so calming and soothing and this color is just that. when you wana play with colors yet want to keep them classy and subtle you choose colors like these. This is an all season color whether is it Summer or winters, it can add a bit of sass to any outfit plus it uplifts your mood when you wear it. "Let your romance bloom like a lavender in the summer with this Stunning shade"
They should launch more colors for us to experiment more in this range like neons. Also join me on my social media as i post pics n mini updates of products etc there. All my Social media Links are on top right. Please invite your friends on my FB page It would mean the most.